All the while my mind was racing. I wanted to convey both the intimacy of a child's curiosity within a vast family landscape and to capture the beauty of the Appalachian mountain's evening light. The influence of classic photographers and Southern writers and others who have documented the Appalachian region is clear in the work of Shelby Lee Adams. An image such as The Home Funeral, however, crystallizes the familiar shacks and extended families into something unexpected. Using multiple strobes and an 8×10 view camera, Adams achieves both a special quality of light and a depth of field that keeps everything, from the wall-calendar in the foreground to the stark bulb on the ceiling to the ferns above the coffin, in focus. Adams's composition – marked by sharp division of space and clarity of detail – places the viewer in the role of omniscient visitor to this otherwise private moment. Adams himself, having grown up in Kentucky and familiar with the mountain culture, is both an insider and an outside observer – a dichotomy the documentary photographer must frequently confront. He takes on this role once again in Leddie and Children, conveying a juxtaposition of both the claustrophobic familial closeness and the wide open space of the landscape itself. Shelby Lee Adams was born in 1950 in the Appalachian Mountains of Eastern Kentucky. He now lives there as well as in the Berkshire Mountains of Western Massachusetts. 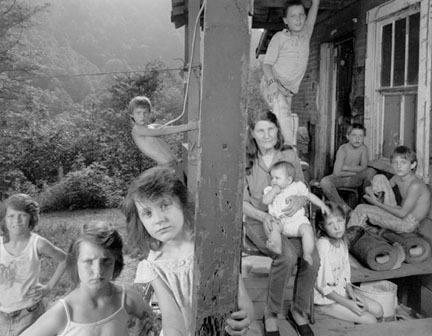 Appalachia is not only Adams's birthplace, but the subject of his photographs as well. 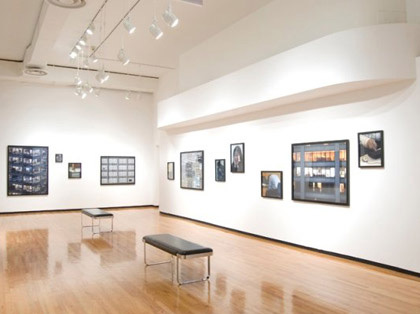 His images, focusing on the lives of the people of Appalachia, have been shown in one-person exhibitions at the Cleveland Museum of Art; the International Center of Photography, New York; Light Work, Syracuse, New York; and the Visual Studies Workshop, Rochester, New York. His work is also included in the collections of many major museums, including the Art Institute of Chicago; National Gallery of Canada, Ottawa; San Francisco Museum of Modern Art; and Stedelijk Museum, Amsterdam, among others. 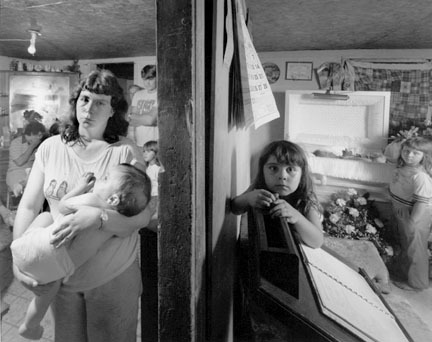 Adams's photographs have been published in two volumes: Appalachian Legacy (1998) and Appalachian Portraits (1993).